As a number of energy suppliers have withdrawn their cheapest tariffs from the market, the average cost for the cheapest fuel deals - including both gas and electricity - has, as a result, risen from Â£990 to Â£1,050, according to an article published by Which?. Typically tying customers in a contract of a year or two years, and providing protection against sudden price rises, fixed rate energy tariffs have also been withdrawn by many companies too. Scottish Power became the latest to take such action - withdrawing their Fixed Price Energy December 2012 deal at the beginning of this week (October 3). Despite this action becoming increasingly commonplace, energy adviser for Which?, James Tallack, has advised consumers not to worry. He said: "Despite the withdrawal of these popular products, consumers looking for a fixed-price tariff shouldn't despair. 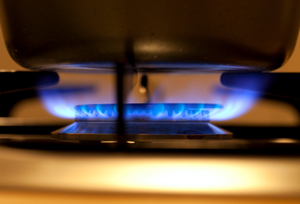 "Scottish Power and Npower are currently offering fixes at similar prices to their best online variable-price tariffs. EDF Energy's new fix is similarly competitive." Tallack went on to add that fixed-price energy tariffs weren't necessarily the be-all and end-all. Finishing, he stated: "Although fixed-price tariffs offer some certainty over energy prices, bear in mind that you won't benefit if prices come down elsewhere, nor will you be able to get out of your contract without paying a hefty exit fee."